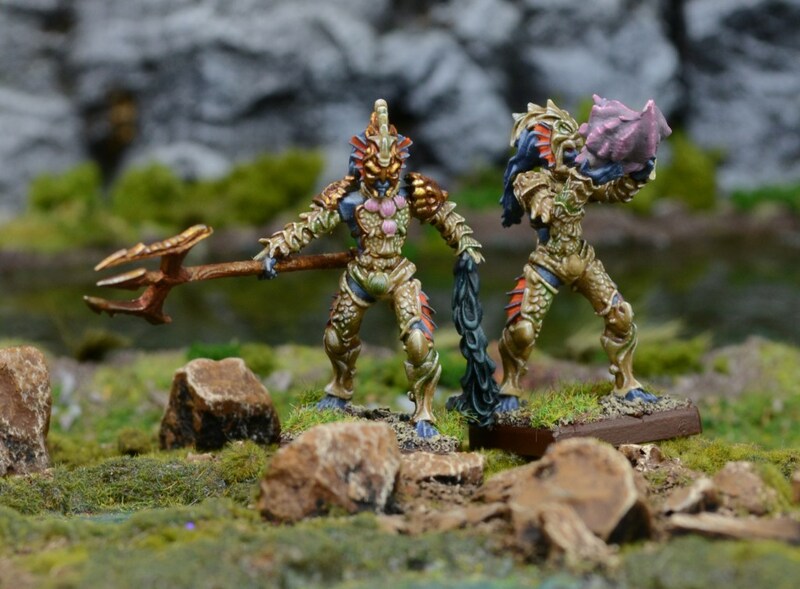 The Trident Realms range gets a boost with Mantic putting the latest releases up for pre-order. I wasn't impressed when I saw the first pictures of the Trident Realms prior to release of the Army boxes. My main criticism was that Mantic appeared to have missed an opportunity to portray them in their best light due to a less than flattering paintjob and lacklustre posing. 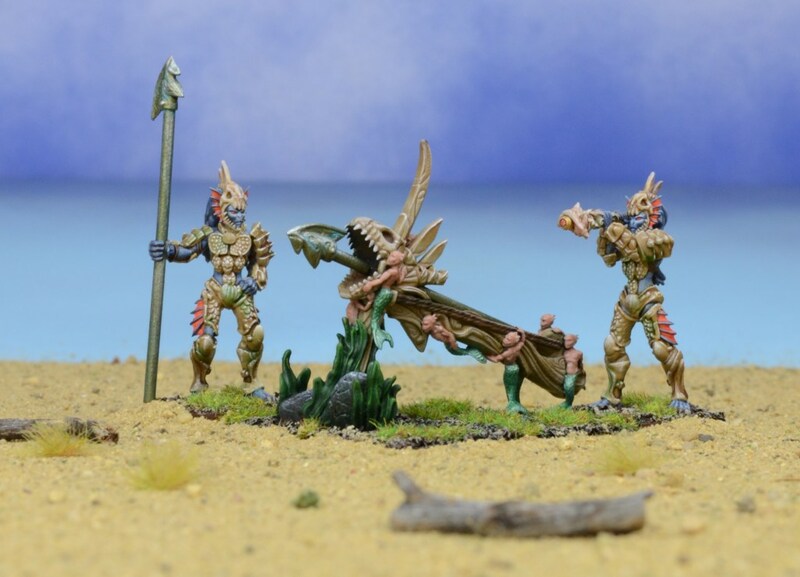 Since then I have warmed to the range as Mantic have improved the release photos associated with the figures each time they have put out new material/news. This improvement has involved what appears to be a stronger paintjob, improved basing and choice of background. Personally I'm not convinced on the Elementals but overall the release looks far stronger. 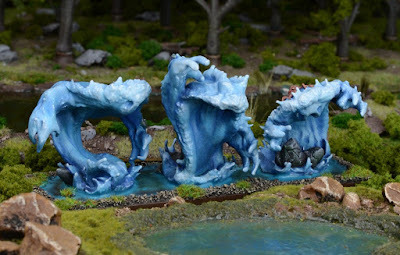 One interesting point is that the Wyrmrider has been cast in resin rather than metal. Mantic have created their own in-house resin facility and this is one of the first products to be cast there. 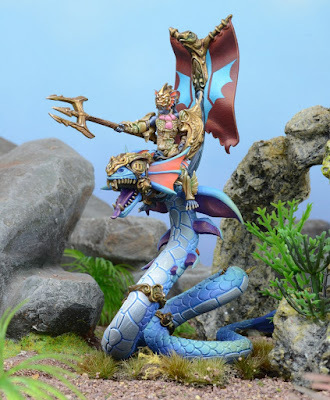 The Trident Realms range is starting to bulk out now and the hobbyist has the opportunity to build an army that is uniquely Mantic.